Dutch Diamond Technologies (DD) recently unveiled the world’s first ring made entirely from a chemical vapour deposition (CVD) lab-grown diamond. The growing popularity of gem-quality lab-grown (also known as ‘synthetic’ or ‘cultured’) diamonds has caused a relentless marketing battle between diamond mining companies and gem-quality lab-grown diamond producers. Both contenders know corporate social responsibility (CSR) initiatives are key in appealing to the values of consumers. Whether you have 10 years of experience in the business, 30, or even two, at some point you have probably found yourself in front of a customer having a hard time coming up with natural options for gemstones that fit his/her budget, taste, and dreams. A 425.1-carat D-colour Type II gem-quality diamond has been recovered from Petra Diamonds’ Cullinan mine in South Africa. 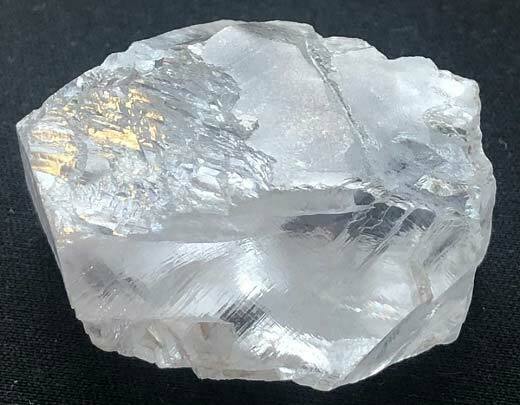 Mining group Petra Diamonds recovered a 425.1-carat D-colour Type II gem-quality diamond at its Cullinan mine in South Africa. The gem is expected to be sold during the company’s fourth quarter. Petra recently released its production and sales report for Jan. 1 to Mar. 31. The paper shows a 6.9 per cent fall in production (924,228 carats), which the company attributes to lower output at its Finsch mine. Nonetheless, Petra reported its net debt reduced to US$553.1 million from last year’s reported US$559.3 million.